In Chapter 14 of Intermediate Physics for Medicine and Biology, Russ Hobbie and I discuss the differential cross section. The units of the differential scattering cross section are m2 sr-1. The differential cross section depends on θ, the angle between the directions of travel of the incident and scattered particles. (a) Plot dσ/dΩ versus θ over the range 0 to π. (b) Repeat part (a) using semilog graph paper. where q and Q are the charges of the alpha particle and nucleus, and E is the alpha particle energy. Show that A has the units of m2 sr-1. Hint: steradians, like radians, are dimensionless (see Appendix A). (d) Interpret what happens physically when θ is π. What is the value of the cosecant of π/2? Write A in terms of the distance of closest approach of an alpha particle to the nucleus. Hint: see Chapter 17, Problem 2. (e) Note that dσ/dΩ goes to infinity as θ goes to zero. Interpret this result physically. What assumption did Rutherford make that may be responsible for this unphysical behavior? (f) Integrate dσ/dΩ over θ from 0 to π. You may need to use a good table of integrals. Explain your result (which may surprise you) physically. 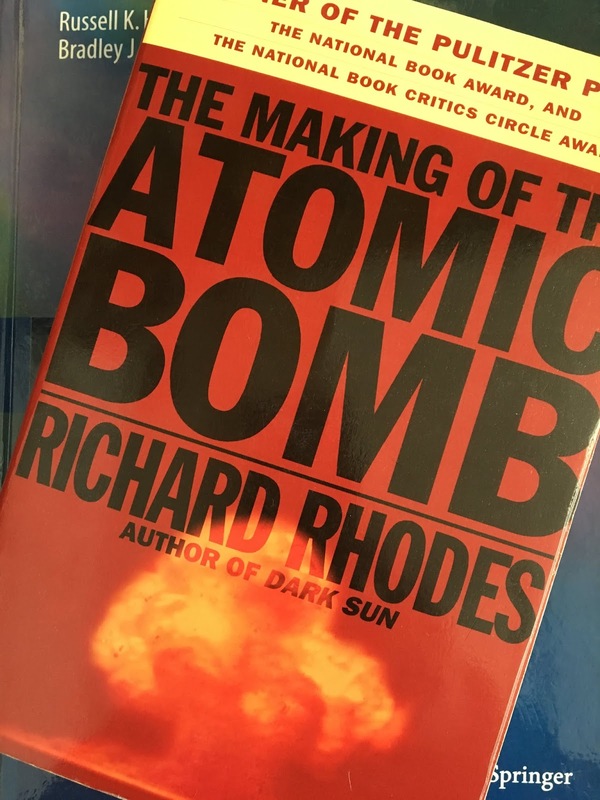 Here is the history of the Rutherford scattering experiment, as told by Richard Rhodes in The Making of the Atomic Bomb. [Hans] Geiger [Rutherford’s assistant] went to work on alpha scattering, aided by Ernest Marsden, then an eighteen-year-old Manchester undergraduate. They observed alpha particles coming out of a firing tube and passing through foils of such metals as aluminum, silver, gold, and platinum. The results were generally consistent with expectation: alpha particles might very well accumulate as much as two degrees of total deflection bouncing around among atoms of the plum-pudding sort [an early model of atomic structure proposed by J. J. Thomson]. But the experiment was troubled with stray particles. Geiger and Marsden thought molecules in the walls of the firing tube might be scattering them. They tried eliminating the strays by narrowing and defining the end of the firing tube with a series of graduated metal washers. That proved no help. Rutherford wandered into the room. The three men talked over the problem. Something about it alerted Rutherford’s intuition for promising side effects. Almost as an afterthought he turned to Marsden and said, “See if you can get some effect of alpha particles directly reflected from a metal surface.” Marsden knew that a negative result was expected—alpha particles shot through thin foils, they did not bounce back form them—but that missing a positive result would be an unforgivable sin. He took great care to prepare a strong alpha source. He aimed the pencil-narrow beam of alphas at a forty-five degree angle onto a sheet of gold foil. He positioned his scintillation screen on the same side of the foil, beside the alpha beam, so that a particle bouncing back would strike the screen and register as a scintillation. Between firing tube and screen he interposed a thick lead plate so no direct alpha particles could interfere.